Obtaining and retaining patients should be the goal of all health care practices. Medical Practice Marketing through a variety of means is un-paralleled in health care history. And with the advent of new web technologies and social media, providers have a much further reach than ever before. The nature of a providers medical practice marketing depends on the specialty. Surgical practices and other related specialties will be marketing to family practice providers as their primary source for patients. By developing a relationship with the FP providers, sending them thank-you notes for their referrals, and remembering their birthdays will go a long way to establishing that relationship. Family practice providers will use other means of medical practice marketing to attract patients; especially if they are a new practice just getting established. All practices can benefit from a practice web site. Let me rephrase that. ALL practices WILL benefit from a practice website. A practice web site does not need to cost tens of thousands of dollars. There are many companies out there right now designing web sites that are affordable. If you are a really technically savvy practice you may want to design your own. The web site should contain information about the location of the practice, a map, information about the providers and staff, forms needed to be filled out prior to the visit, what the practice offers to the patients including any ancillary services or retail services. A practice web site should also offer a patient portal. This can be used to post appointment times, email between practice and patient, posting of lab results, and other important information. 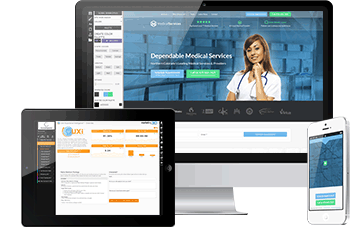 Attracting patients through a user friendly patient portal is a real tool your practice should utilize. Using social media such as Facebook can also be used to market your practice. Refreshing the Facebook page and keeping interest in it is needed, and again that takes time to maintain. To make things easier there are tools to setup automatic posts. Using these tools, you can set up a schedule that will post throughout the day or week so that it social media doesn’t consume your entire day. Social Media can also be used to provide educational materials related to your practice specialty. As of January 2014, 74% of all online adults use social networking sites. For adults ages 18-29, 89% of them use social networking sites. In addition to Facebook, Twitter and LinkedIn are other great tools to use in your marketing efforts. Like Facebook you can schedule the posts and updates so that your time is not dominated by social media. While many practices do not see the benefit of using social media within their medical practice marketing efforts, let’s think about how so many families are using these mediums in their everyday lives. The percentage of online adults who use social networking sites has steadily risen. As of January 2014, 74% of all online adults use social networking sites. For adults ages 18-29, 89% of them use social networking sites. There is a tremendous amount of potential in those numbers. Regardless of the medium of marketing you use, providers are actively marketing their practices. Getting on this band wagon to maximize your exposure is a must. If you would like to talk to someone about setting up a low maintenance and low cost system for your website and social media procedures, give Medical Management Services a call. We can give you direction and walk you through the setup or we can set it up for you and give you the proper training to maximize the benefits of medical practice marketing efforts. Let us help you reach further than you ever have before.